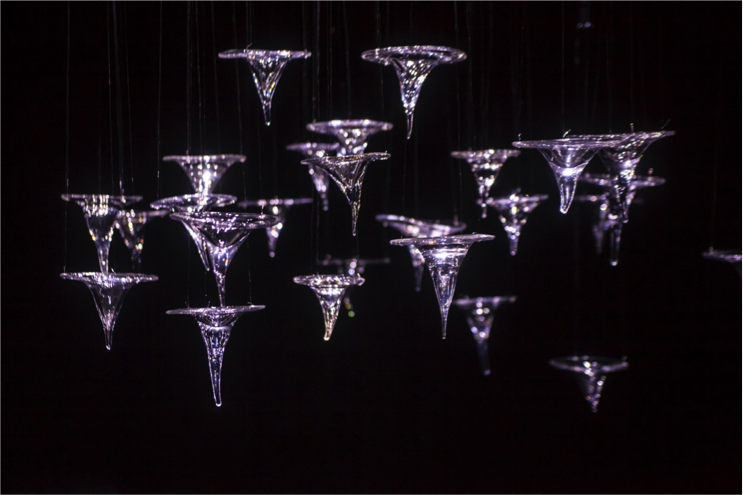 Twenty six glass vessels containing liquid paraffin were suspended from a railway arch with individual torches hanging above each glass element. 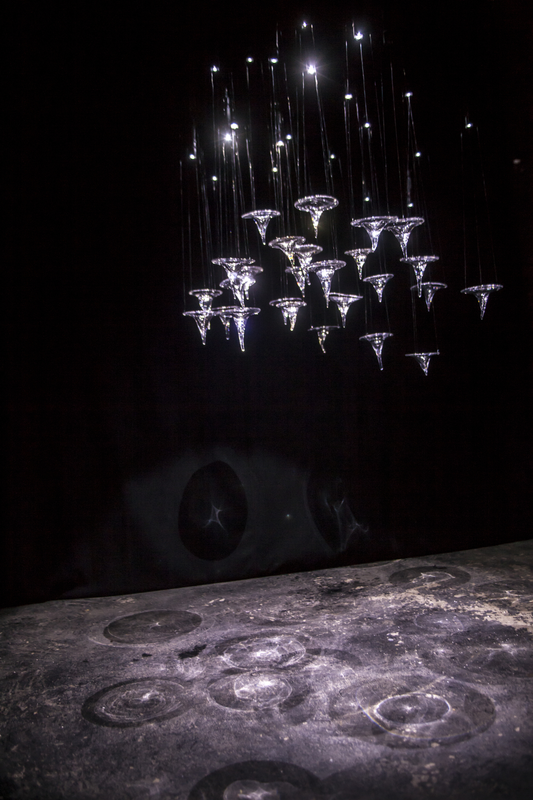 The work forms a constellation of reverberating cosmic projections. 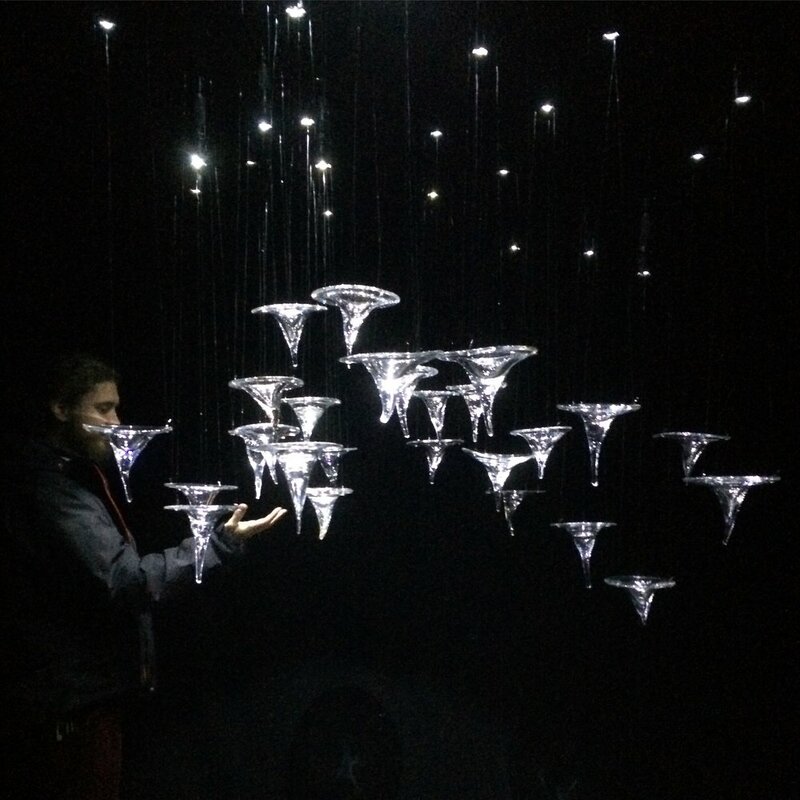 Composed of multiples, the piece was scaled to the peculiarities of the architectural space and its specific proportions, juxtaposing delicate glass vessels that resonate within the heavy motion of the trains passing overhead.